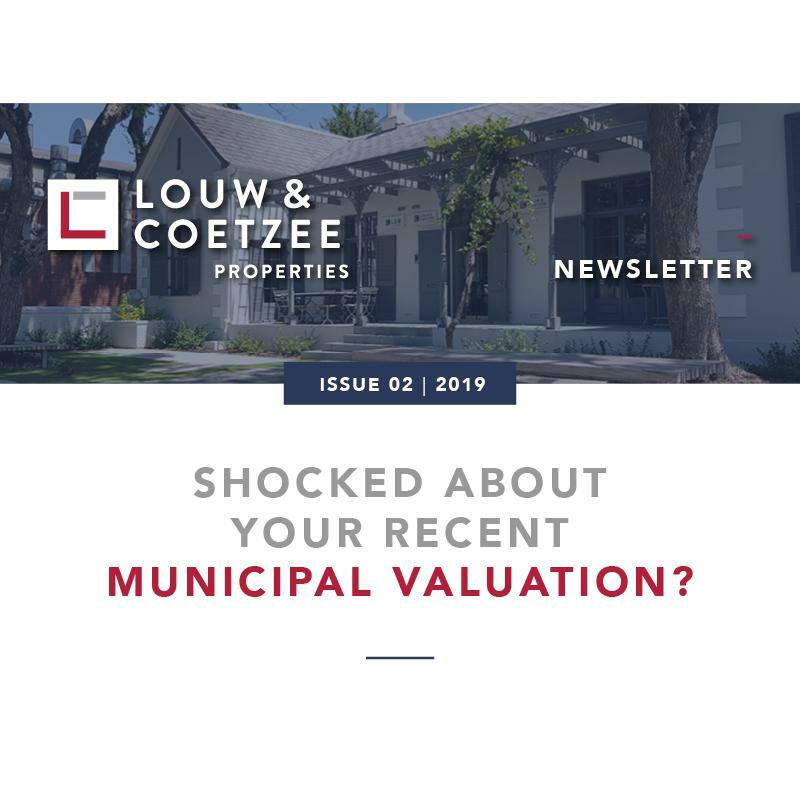 You are here: Louw and Coetzee Properties Latest News Newsletter Shocked about your recent municipal valuation? Recent updates to the municipal property valuations have sparked some emotional responses from property owners. 1. The municipal valuation should be a realistic reflection of the market value of your property on 2 July 2018. Your municipal rates & taxes calculation will be based on this municipal valuation and charged as from 1 July 2019. You may, therefore, be obliged to pay higher rates and taxes, should you fail to object against exorbitant valuations. 2. Should you be selling your property sometime in future and the agreed selling price be lower than the municipal valuation of your property, SARS may require that transfer duty be calculated on the higher value, i.e. the municipal valuation on record. The onus would then be on you to convince SARS that your selling price is in fact market related and that the municipal valuation be disregarded for transfer duty purposes. This process could be detrimental to your transaction and delay the transfer process. 3. For these reasons it is critical to object timeously to the municipal valuation of your property. You can do so by obtaining a fair market valuation of your property by an estate agent to substantiate your objection. Our specialised area agents are therefore offering a free market-related valuation for your property as on 2 July 2018. 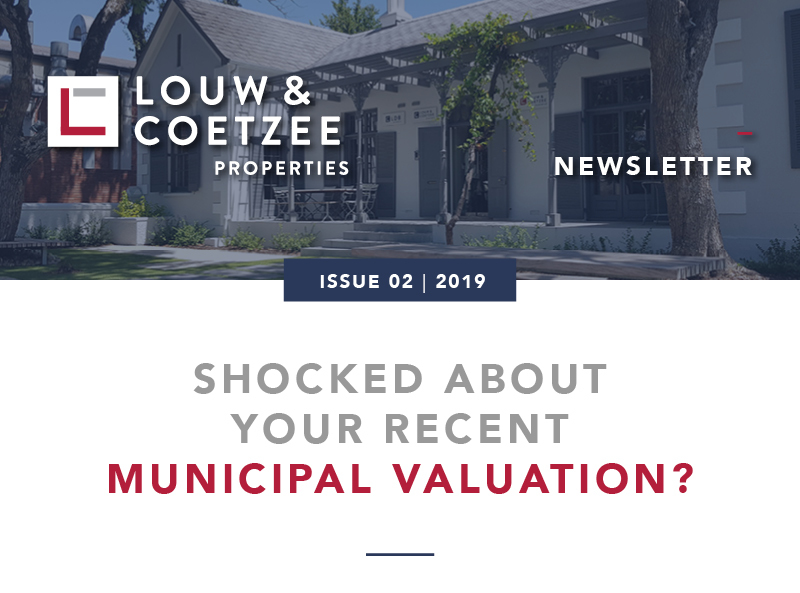 Any objection to the latest municipal valuations must be lodged electronically before 30 April 2019. The group accepts no liability whatsoever for any loss or damages - whatsoever and howsoever incurred - or suffered resulting or arising from the use of this email, the content thereof or its attachments.